Today’s Project of the Day for National Craft Month comes from the fine folks at Provocraft! Brighten up your door with this easy to make spring project. Visitors will love being welcomed by the fun design and whimsical feel. And don’t forget to enter our Giveaway by answering the question below in the Comments Section of this post. Using the Cricut Expression 2 die cutting machine, this fun project is super fast and easy. With the Cricut Craft Room, you can choose your design as well as size and let the Cricut Expression do all the work for you! Since you are choosing the papers and patterns you are using, this could be a nice accompaniment to any home decór. You can add a vintage flair to this project by inking your edges before forming your pinwheels or leave it inkless for a clean look. The choice is yours! Cut pinwheels from your favorite paper using the Cricut Expression 2. Ink all edges. Front and back. When assembling pinwheels, roll each corner of the pinwheel that has the hole. This will help the paper to bend without creasing when you assemble with the brad. Rip muslin into 3” strips. Wrap around wreath until it is all covered. Use pins to hold into place. 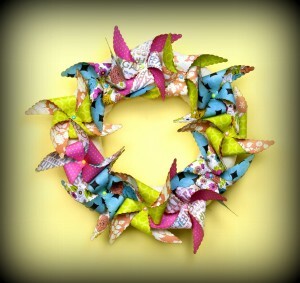 Use pins to attach the pinwheels onto the wreath. Today’s Prize is a Cuttlebug Machine! 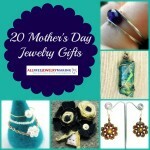 Contest closes March 4, 2012 at 11:59 p.m. CST. 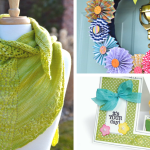 What do you craft to celebrate Spring? I love to find easter egg dying ideas using natural foods and plants to make coloring to dye the eggs and a lace tablecloths. My granddaughters and daughters love being involved in the project which becomes a fun family time. The best thing for Spring is to gather pine cones to make peanut butter bird feeders.